Two Special Nights in Copenhagen! Co2penhagen.com – The world’s foremost carbon-neutral festival! The Mercury Rev Clear Light Ensemble, featuring special guests, will perform 2 nights of live, in the moment, freaked-out, far-out, late-night ambient soundscapes to a series of avant/experimental and early silent Danish Films. Performances will take place on Saturday September 5th (avant/experimental 1940-1960) and Sunday September 6th (silent Film classics from 1920-1940). In a unique collaboration with the Danish Film Institute, these two extraordinary nights will see the American musical icons Mercury Rev celebrating and illuminating many of Denmark’s greatest early cinematic pioneers and landmark achievements in film set amidst the innovative backdrop of some of the world’s newest carbon-neutral/green efforts in technology on display at this ground-breaking festival! Saturday’s performance will be wholly dedicated to the abstract/avant films of Denmark, featuring classics by Albert Mertz, Robert Jacobsen, Richard Mortensen and many more of Denmark’s remarkably unique directors active during this incredibly creative period of Art history. 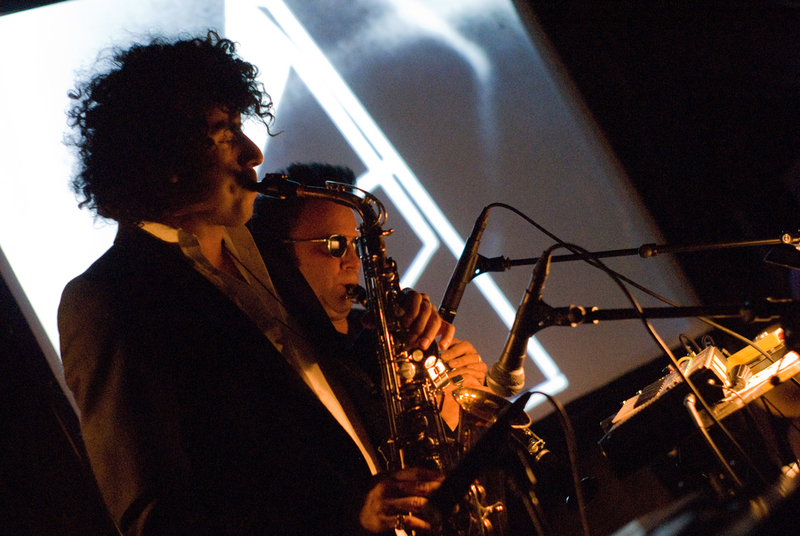 Sunday’s performance will be entirely dedicated to early Danish silent films from the 1920’s – 1940’s. A stunning array of film selections showcasing the earliest of Danish forays into Silent Cinema such as maverick directors Carl Dreyer and Pool Henningsen, along with wonderful footage of the Silent Queen Asta Nielsen and much much more. Kunstnerisk Avantgarde Multimedieshow, Lars H.U.G. Udover at være en af Danmarks bedst kendte progressive musikere har Lars H.U.G også været særdeles produktiv som kunstner. Siden 2001 har malerkunsten fyldt mere og mere i Lars H.U.G.’s karriere. På CO2PENHAGEN smeltede de to kunstarter sammen med ny energibesparende teknologi, til et stemningsfuldt progressivt klimavenligt show – helt i stil med CO2PENHAGEN’s ånd. Under koncerten blev Lars H.U.G.’s kunst vist på en klimavenlig LED-storskærm. Visual artist Stig Vatne viste en performance bag Lars H.U.G, der både indbefattede tidligere film klip af Lars H.U.G blandet med manipulerede billeder af kunstnerens malerier.